It's very true that God's Word - the Bible will change your life...but you have to read it in order for it to help renew your mind and help you on the road to life change! Let me ask you, are you spending time communing with God by picking up and spending time in His Word? If you are, great! Keep it up! If you're not, let me encourage you to make spending time in His Word a daily priority! 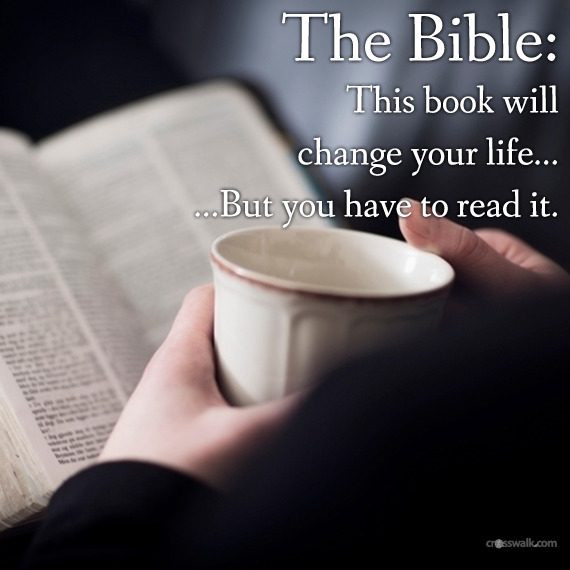 If you need some new ideas for reading and studying The Word, here are a few useful links where you might find a plan that will recharge your time with the Lord as you read and seek to abide in Him!